In the wake of the Supreme Court ruling in mid-May enabling each state to legalize sports betting, Massachusetts Gov. Charlie Baker said his state should “look into” the possibility. Baker said that Massachusetts would need to create a “framework” for the new casino offering. If Massachusetts casinos want it (and they do), the Bay State will allow sports betting. The following month, State Rep. Joseph Wagner, chairman of the Committee on Economic Development and Emerging Technologies, said the state will tackle the issue in 2019. According to a 2017 Oxford Economics study, commissioned by the U.S. casino industry, a Bay State sports betting market could be worth about $120 million annually, based on projected handle of nearly $2 billion. However, some hurdles remain on the horizon. A series of alleged scandals surrounding the licensing of Wynn Resorts for a casino outside Boston, which includes a $3 billion RICO lawsuit from a Boston racetrack, put the Massachusetts Gaming Commission in the crosshairs of public scrutiny. Chairman Stephen Crosby resigned in late September after the lawsuit. The dust still hasn’t settled. Last week, the Commission took the highly unusual step of engaging in a public spat over a Boston Magazine article on the licensing of Wynn Resorts, which is building a $2.5 billion casino in Everett. “The story is remarkable for its exclusions, misrepresentations, and innuendo,” MGC’s Director of Communications Elaine Driscoll claimed in a statement. 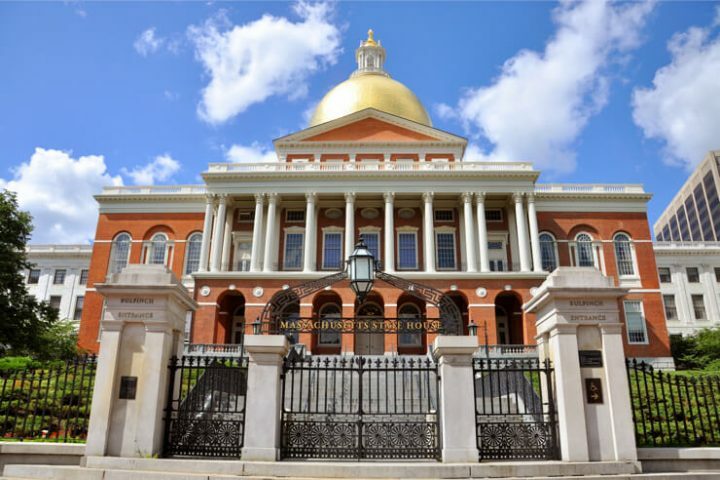 Bay State legislators can — and will — move toward sports betting approval despite the chaos at the regulatory body assigned to oversee the nascent casino industry. The Commission ended its lengthy statement on the Boston Magazine article (to which the magazine issued a rebuttal) by saying it remains committed to its job, which likely includes implementing sports betting next year. A launch prior to the 2019-’20 NFL and NBA seasons is a likely scenario. “While we will continue to defend against those baseless claims, they will not distract us from the important work ahead, including the determination via appropriate due process of Wynn’s suitability to maintain its license, and our unfailing commitment to conduct our work in a manner that is fair, thoughtful, and transparent,” Driscoll said. The Commission is currently investigating Wynn Resorts’ suitability with regard to sexual misconduct allegations against former casino mogul Steve Wynn. Those allegations surfaced in January. Regulators will hold hearings in early December to decide what to do about the casino, currently slated to open in mid-2019. A worst-case scenario for Wynn Resorts would be the state determining that it has to sell the casino and leave the market. The best-case scenario for the casino giant is that the Commission does nothing at all. A fine for a public relations boost appears to be a likely outcome. Despite its license for a flagship East Coast casino being up in the air, Wynn Resorts earlier this month threw its hat into the ring for sports betting outside of Nevada. Encore Boston Harbor would be its only U.S. casino outside of Las Vegas. In other words, a collapse of its Encore Boston Harbor project would be devastating news to its sports betting plans while its competitors gain sports betting footholds elsewhere. The casino operator entered into a strategic partnership with BetBull Limited, a European digital sports betting operator. The firms plan to “capitalize on the developing U.S. opportunity by combining Wynn Resorts’ nationally recognized brand with BetBull’s digital sports betting operations capabilities and technology,” said a press release. How good is that brand these days? It’s worth noting that in the wake of the scandal against Steve Wynn, the casino operator removed the Wynn brand name from the Everett property. Wynn Resorts is already eyeing mobile, despite the fact that some states are launching sport betting without mobile yet. The partnership indicates Wynn’s confidence that the Bay State won’t make the mistake of leaving online betting out of the initial sports betting rollout. Just how wise Massachusetts will be remains to be seen, as allowing remote registration for mobile sports betting accounts is a crucial part of implementing the new industry. However, given the relatively small size of the Bay State (it’s the seventh smallest state by land area), an in-person registration requirement wouldn’t be as cumbersome as it would be in larger jurisdictions. The 2011 casino law called for casinos to be sprinkled around the state. Well before the Supreme Court struck down the sports betting ban, Massachusetts officials were eyeing online casino gaming. In 2016, lawmakers began studying the potential impact of internet betting, thanks in part to the growing daily fantasy sports market. The state formed a “Special Commission on Online Gaming, Fantasy Sports Gaming and Daily Fantasy Sports” to begin digesting the potential regulatory changes. The Gaming Commission around that time said that it supported an omnibus online betting bill. In 2014, the Massachusetts Lottery began looking at online gambling. To this day, the lottery is still eyeing online sales and services, according to a report from the Boston Herald. Massachusetts Treasurer Deborah Goldberg said that online sports betting for the casinos should finally give the lottery its opportunity to go online. “If they [policymakers] put sports betting online, they have to put the lottery online,” she said. Boston-based DraftKings, a top player in New Jersey’s state-of-the-art legal sports betting space, is lobbying for online wagering. “There’s no reason Massachusetts shouldn’t be the country’s sports tech hub,” the company told the Boston Herald. It also helps that Boston has a huge sports culture. In early August, MGM Resorts made U.S. casino industry history by inking a deal with the National Basketball Association. The partnership involves exclusivity on NBA logos and data, both for brick-and-mortar sportbooks and mobile betting apps. On August 24, MGM opened its highly anticipated casino in Springfield, Massachusetts. Despite the buzz around the opening and the fact that it’s the only Las Vegas-style casino in the Bay State right now, the casino is already under-performing, generating just $27 million in gross gaming revenue during its first full month. MGM told the Bay State that it projected $418 million in gaming win over its first 12 months, or an average of $34.8 million per month. Still, $27 million in gross gaming revenue would have ranked it fourth of 12 in the nearby Pennsylvania casino market last month, so MGM Springfield’s first month was solid in that respect. But with gaming revenues already in question, lawmakers will likely be even more motivated in 2019 to pull the trigger on sports betting. All signs point to them doing so in a manner (allowing mobile) that is most beneficial to the industry.